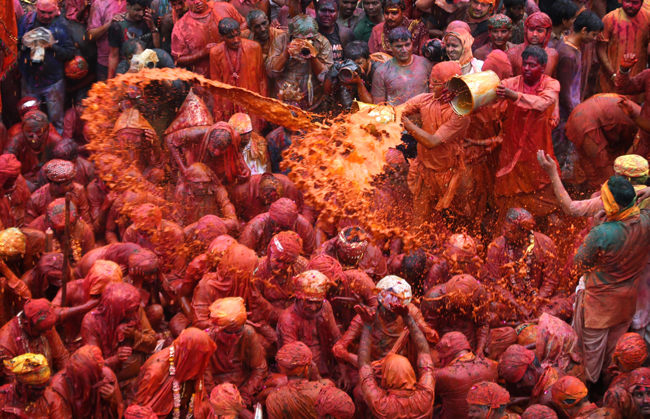 The sights of this cultural extravaganza are spectacular when thousands of people, all ages gather and smear each other in bright colourful paints, known as ‘gulal’, dance and party for days. A religious national holiday and festival celebrated mainly by Hindus, originating primarily from India. Otherwise known as the ‘festival of Colours’. Now a days the festival is not just widely celebrated across india, but in communities all over the world. It takes place at the end of winter on the last full moon day of the lunar month of ‘Phalguna’ (February/March). Normally lasting about two days! The use of bright coloured ‘gulal’, which also can be mixed with water to form a dye, has its roots in the story of the love affair between the god Krishna and Radha. According to legend, Krishna often was portrayed with a blue complexion, so coloured the face of Radha because he was jealous of her fair complexion. 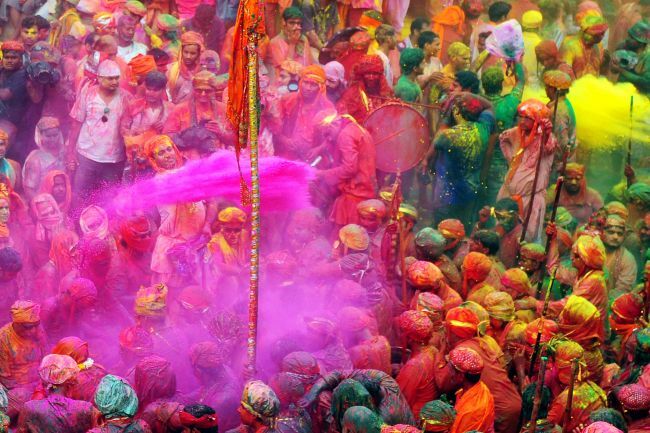 ‘Holi festival‘ has an ancient origin; originally it was a festival celebrating the triumph of ‘good harvests’. The festival now has many purposes; firstly it celebrates the beginning of a new season being ‘Spring’. Hindus believe it is a time of enjoying springs abundant colours and saying farewell to the cold, dull winter. It also has a religious purpose; the Holi festival commemorates the victory of good over evil, with rituals of burning and destruction of the demoness named Holika. On the eve of Holi, bonfires are lit to mark the occasion and to burn evil spirits. Known as the ‘Holika Dahan’. 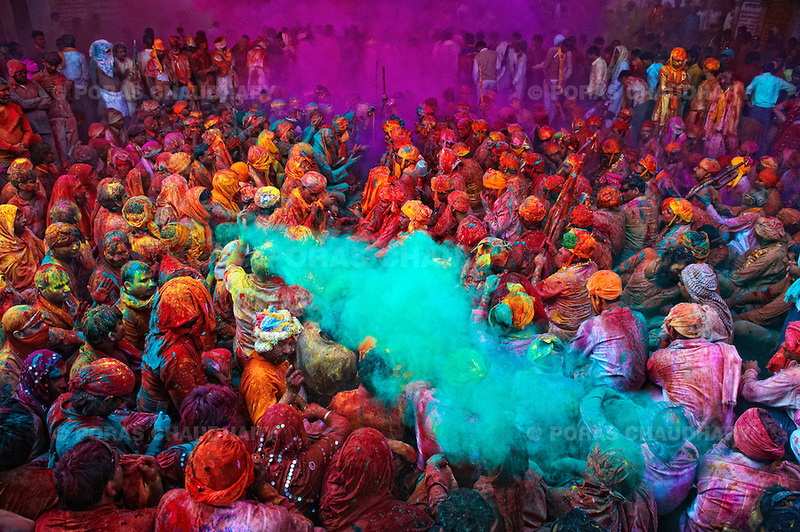 One day I would love to be in India to participate in the ‘Holi Festival’. This amazing, exciting event has most definitely been added to my bucket list – What about yours?